Allison Birt was born in 2000 and moved to Newcastle after growing up in Carlisle. She is currently studying A levels at Newcastle Sixth Form College, but in the future wants to persue a career in the arts. 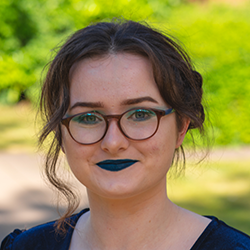 Allison only began writing poetry in 2018 after joining Northern Stage’s Young Company in October, where she felt inspired and encouraged to write. This has led to Allison becoming extremely passionate about writing poetry. Whilst Allison is only just starting her journey as a writer, she’d love to write her own play some day.